Our Sunshine Superstar of the week loves listening to music. 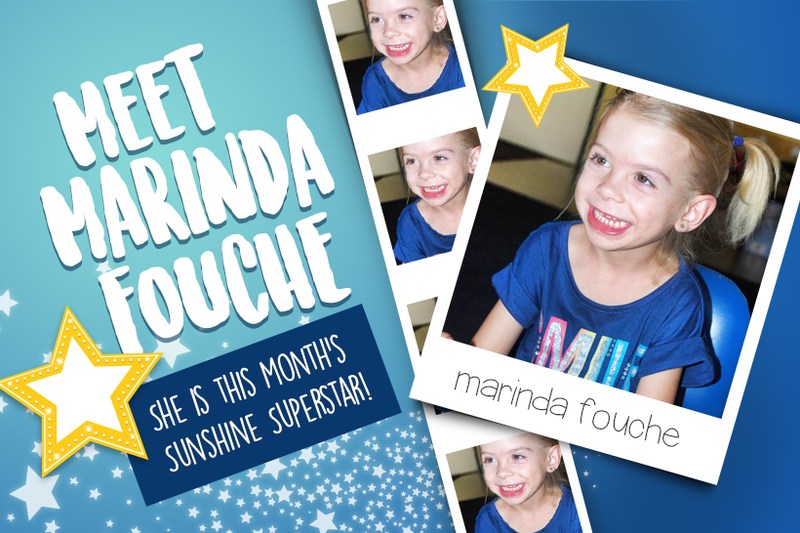 Five-year-old Marinda Fouche has developmental delays and when she started at our centre on the 1st of March 2016, she did not like or want to eat. Her parents were very worried about her weight. On the first day at school she refused to eat her food and cried when she was fed. On her second day she ate breakfast only but her teacher, Beauty, noticed that there had been music playing while Marinda ate. Beauty thought she would play music during all meal times to see what Marinda would do. The next day Beauty played one of Marinda’s favourite nursery rhymes and sang to her while feeding her. Marinda was enjoying the music so much that she didn’t realise she was actually eating. It’s now become a routine that music is played during Marinda’s mealtimes. Well done teacher Beauty for being so observant and helping Marinda to eat her food. We look forward to more progress from Marinda. Well done to our Sunshine Superstar!